The year has finally come to a close and the new year is upon us... Goodbye 2016, not gonna miss ya! I will however say that I look forward to all of the new art projects and paper artists that will pour into 2017. 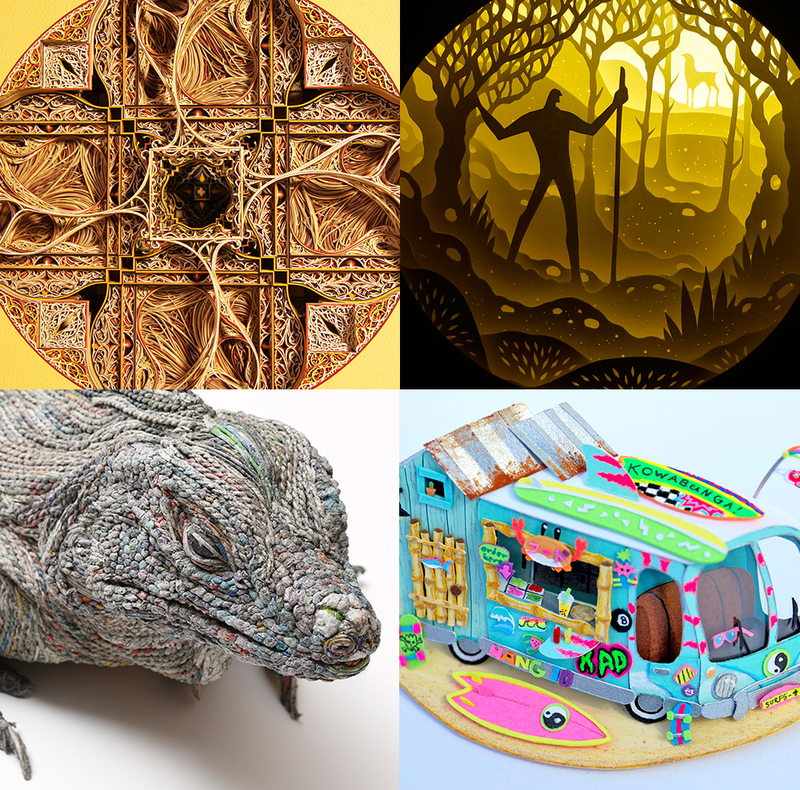 So let's take a look back to the 20 most popular posts from 2016, which span categories such as handcrafted paper sculptures, colorful installations, intricate origami, whimsical set designs, animations with projection mapping and so much more! Happy New Year from Strictlypaper! These three-dimensional rolled paper sculptures, created by Japanese artist Chie Hitotsuyama, are full of life and character. Their lively expressions convey the strength needed for their survival in their natural surroundings, which can sometimes be unforgiving. Within her works she uses old newspapers that have stopped serving their purpose as means of information. 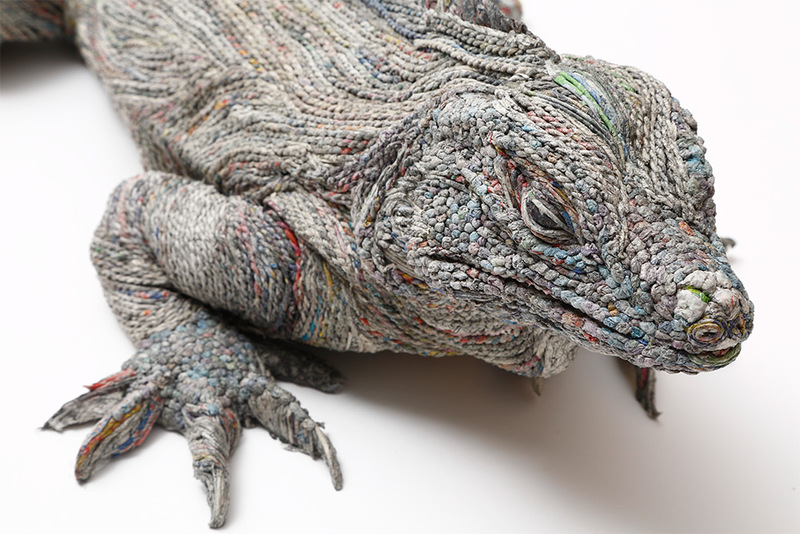 After carefully rolling, cutting and placing each piece meticulously, Hitotsuyama is able to breath artistic life and value through those newspapers and repurpose them into these beautiful creatures. She will be showcasing her work through an exhibition and residency at the MOAH:CEDAR in Lancaster, California until January 7, 2017.